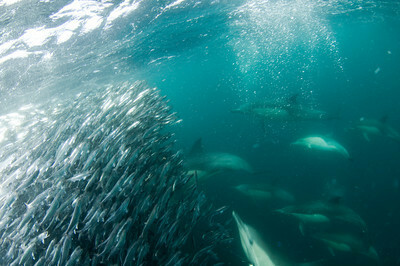 California has some of the most diverse marine life in the world. 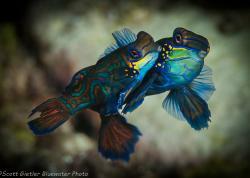 It's underwater reefs and kelp forests support thousands of species of fish and invertebrates. 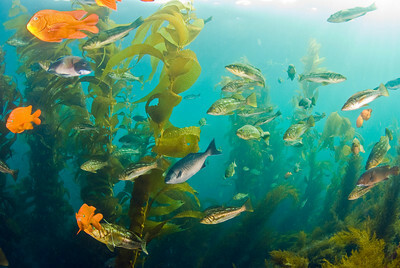 Divers and underwater photographers looking for California marine life will see seals, large schools of fish, colorful invertebrates and giant kelp forests. 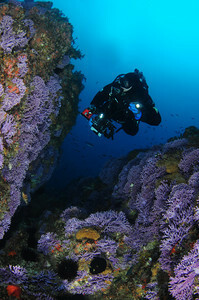 Diving underwater in the Channel Islands or Monterey is the best way to experience this amazing underwater marine life. 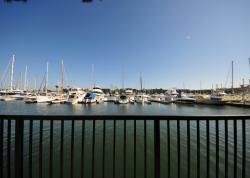 For a great selection of fun-reading articles on Southern California marine life, visit Bill Bushing's page, and for information on Monterey marine life see Clinton Bauder's site. 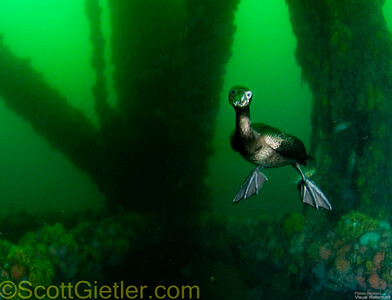 We've also added information on California's Underwater Parks. 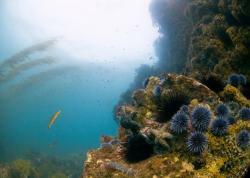 Anemones and sponges are very common in California waters. 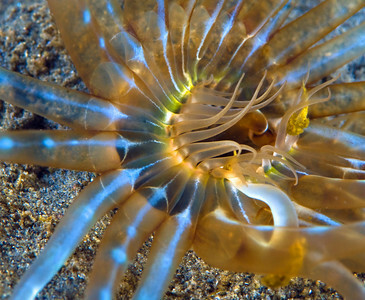 Anemones are animals called Cnidarians, which also include hydroids, jellyfish, cup corals, sea pens and hydrocorals. Purple hydrocoral at Farnsworth Banks, a beautiful example of California marine life. 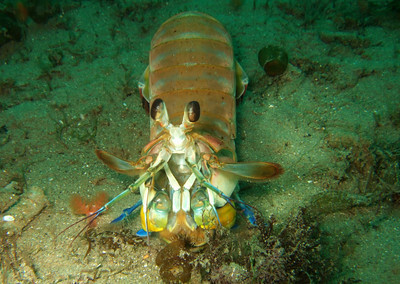 A wide variety of shrimps, crabs, and other crustaceans can be found in California, especially at night! 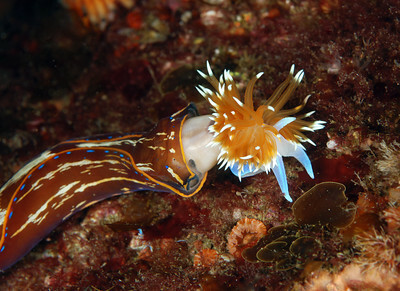 Sea slugs, snails, squid, and octopus are common at California dive sites. 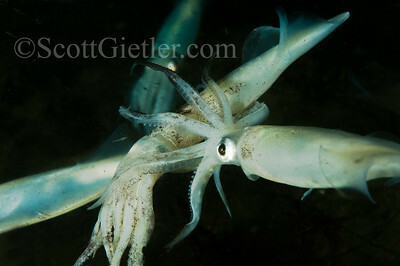 Octopus are best seen at night, and squid are seasonal, usually common in shallow water in the winter to lay eggs. 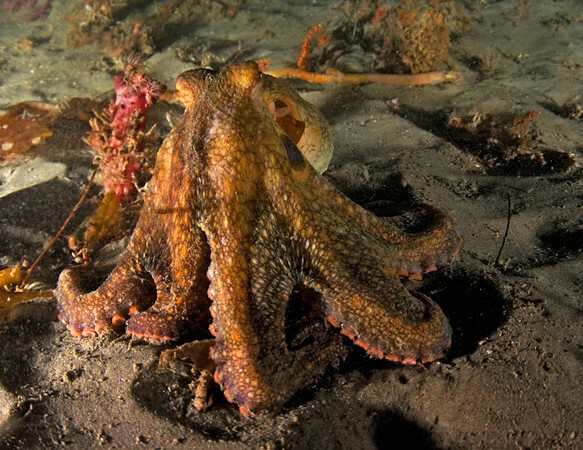 Octopus are common on reefs, but more often seen at night. 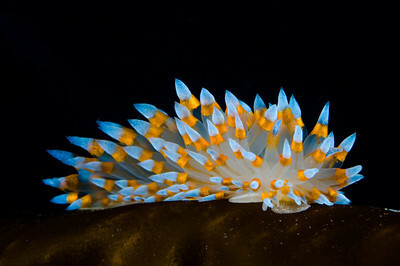 Colorful nudibranchs are one of the most visible invertebrates underwater in California. Echinoderms include starfish, sea cucumbers, and sea urchins. 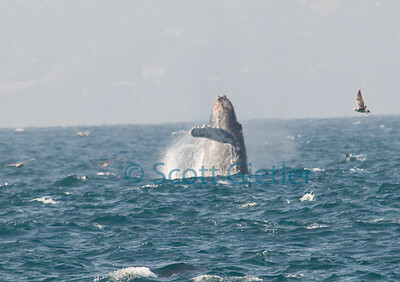 All are common in Southern California waters. 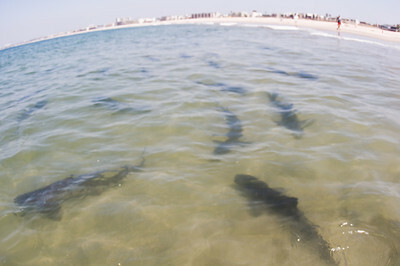 Sharks are well-known examples of California marine life. 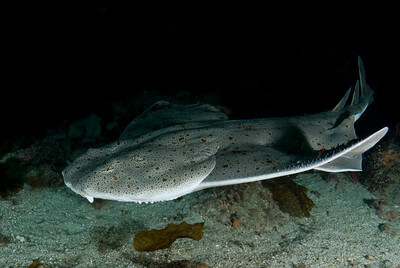 Divers commonly see angel, horn, and swell sharks underwater in California. 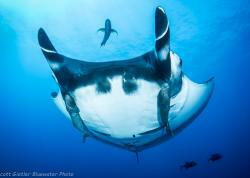 Bat rays, Stingrays, Thornback rays and Torpedo rays are also all common. 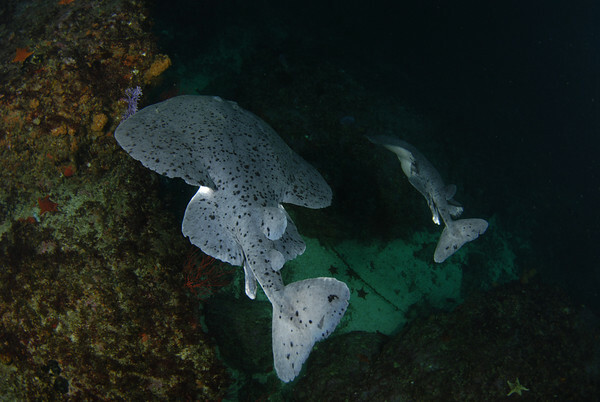 A pair of torpedo rays at Catalina Island. 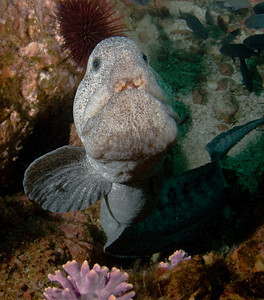 Wolf eel, found underwater in cold, deep reefs. 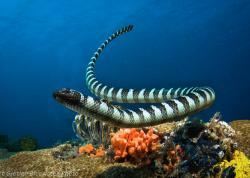 They are more commonly seen while diving Port Hardy, British Columbia. 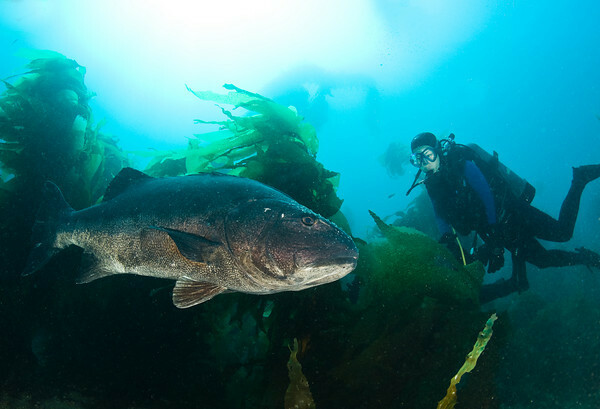 Giant black sea bass are found at Catalina, Anacapa, La Jolla and LA county from July to November. 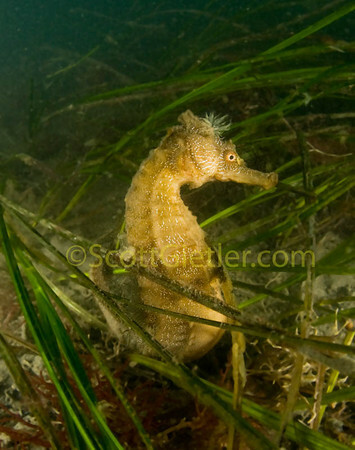 Even the Pacific Seahorse can be found in California, near San Diego, if you know where to look! 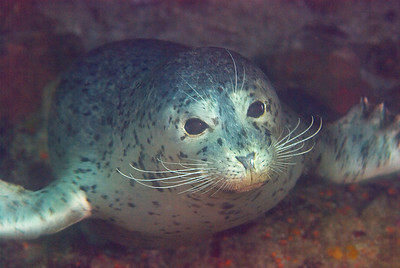 Marine mammals found in California include harbor seals, elephant seals, sea lions, sea otters, killer whales, and blue, fin, humpback and gray whales. Sea lions are the easiest to see underwater. 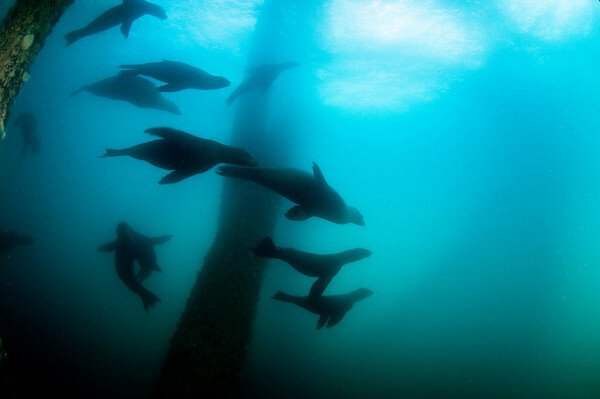 California sea lions are common at Santa Barbara & Anacapa islands, and at Oil rigs. Best visibility is from August to January, and is much better offshore at the islands than off the mainland. Southern channel islands have better visibility than the northern channel islands.